Summer is almost here, and it’s time to start prepping your pool for all of the fun you’ll have with friends and family! After you’ve opened your pool with BioGuard Pool Opening Complete, there are a few more pool care tips from the professionals at The Pool Doctor of Rhode Island that will help you keep it running and looking its best all summer long. A little ongoing maintenance and care, along with the BioGuard 3-Step Program, will help you avoid any problems that could mean less pool time during the peak months. How can you do this? Great question! If you don’t have a skimmer net, it’s time to make the investment. Take 15 minutes out of your day (or maybe assign it as a summertime chore for the kids) to skim the pool to remove bugs, dirt, and other debris. Make it a time to relax and enjoy the calming water. If there is dirt on the bottom of the pool, invest in a Polaris automatic pool cleaner to keep the pool sparkling clear. That’s right, when folks hop in the pool, all of the oils from sunblock don’t just disappear. They stay in your pool. Not something you want to keep building up, right? That’s when BioGuard Pool Tonic comes in handy to help remove oils, lotions, and grease. Also, BioGuard Skim Mor skimmer socks are a great way to attract oils, lotions and cosmetics and they work great during pollen season! Just slip the sock right over your skimmer basket and it will trap debris that your skimmer would miss. Just because you skim and vacuum your pool often doesn’t mean that there’s no more debris and dirt. Switch your filter to the backwash setting in order to remove these items that may have gotten stuck. However, be wary of doing this too often – try to follow the manufacturer’s recommendations because cleaning it too much can make it ineffective. As a pool owner, you know how important it is to maintain proper water chemistry. And there’s no better way to do that with the ALEX Water Testing System at your local BioGuard Dealer. Simply bring in a water sample to The Pool Doctor of Rhode Island for the most advanced and comprehensive water testing available. At The Pool Doctor of Rhode Island, we love our pool care DIYers. Stop by anytime to talk with one of our experts. 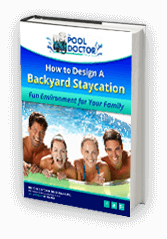 We love answering all your questions and talking all things pools and backyard. We also have every day low prices on chemicals, supplies, and equipment so you can get the best advice and products all in one place. No matter what your pool or spa care needs are, we would love to help. Contact us today for the best (and friendliest) advice in Coventry.